India is open to buying more gold from the International Monetary Fund (IMF). It bought 200 tonnes for $6.7 billion on November 3. The Reserve Bank of India (RBI) may well buy IMF’s remaining hoard of 201.3 tonnes on acceptable terms, which are now under negotiation. A government official said that the additional purchase would depend on the “successful pitching by RBI”. “RBI is an independent body, and the government does not interfere in its affairs. It will get the gold if its bid is successful and at the price it has offered,” said the official. RBI did not respond to Financial Chronicle questions if it was bidding for the remaining IMF gold. The purchase of the first lot of 200 tonnes, RBI had said at the time, was a part of its foreign exchange reserves management operations. RBI has good reasons to further enrich its gold reserves. In just three weeks it has been able to benefit by as much as $800 million on the investment of $6.7 billion it made in buying 200 tonnes from IMF. Since 1999 RBI has been periodically valuing its gold reserves at “prices close to the market”. It has not done so since it purchased the gold from IMF. RBI bought the 200 tonnes at $1,045 an ounce. The transaction, from IMF to RBI, involved daily sales that were staggered over a two-week period, October 19-30, with each daily sale conducted at a price set on the basis of that day’s market price. gold as money, $4,000-11,000 an ounce? Bill Gross: "I think unemployment is here to stay"
Irwin Kellner: It's beginning to look a lot like a "W"
After logging the fastest rate of growth in two years last quarter, the economy appears to be losing steam during the current period. This is no big surprise; the consensus of forecasters surveyed weekly by MarketWatch has long been expecting slower growth during the fourth quarter. There's plenty of evidence that our panel may be right -- if not a tad optimistic. For one thing, total consumer spending -- the biggest single chunk of the economy -- fell in September for the first time in four months and by the biggest percentage since December 2008. In October, retail sales excluding autos grew 60% slower than they did during the previous month, while preliminary reports for November show that consumer sentiment unexpectedly fell. If you look closely you can see why consumers are pulling in their horns. For one thing, personal incomes are barely growing as businesses have trimmed hours worked and cut wages and salaries. For another, employment continues to fall as the jobless rate edges ever closer to the postwar record of 10.8% set in November 1982. The duration of unemployment as a percent of the labor force is the highest in at least a quarter of a century. More people are being forced to work part-time and/or beneath their skill level while the job openings rate is the lowest in recent memory. This will continue as long as business can rely on increased productivity and outsourcing to take care of its needs. Consumer spending is also being suppressed by the $13 trillion in wealth people have lost because of the decline in prices of homes and stocks, along with their high debt loads and depleted savings accounts. Industrial production barely budged in October compared with a 0.7% gain in September. New-home construction took a header in October, while prices of new and existing homes continue to tumble. Home prices have a lot further to fall because supplies figure to keep rising. A record 14% of homeowners with a mortgage were either behind on payments or in foreclosure at the start of last month. This is the ninth straight quarter that this figure set a record. Services are not immune, either. The ISM's measure of the economy's service sector fell unexpectedly in October after rising for a number of months. In addition, many firms are worried over the rising cost of health care and energy not to mention talk of higher taxes. Washington is not focusing on creating jobs the way it should. ( See Nov. 10 column.) 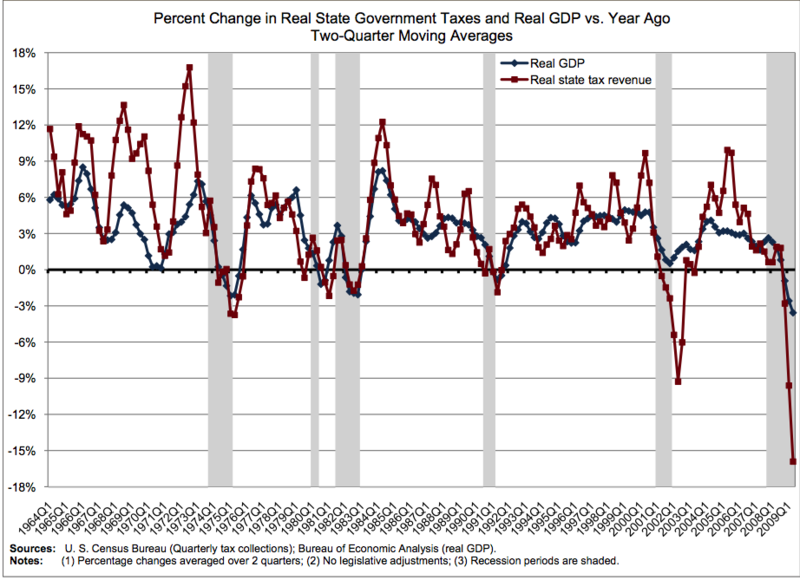 And states and local governments are raising taxes and cutting spending as they struggle to balance their budgets. If all this were not enough there's the Catch-22 facing policymakers when it comes to economic policy. Washington's budget deficit has exploded while the Federal Reserve has injected gobs of liquidity into the markets. If these policies are reversed too quickly, they run the risk of pushing the economy back into recession. 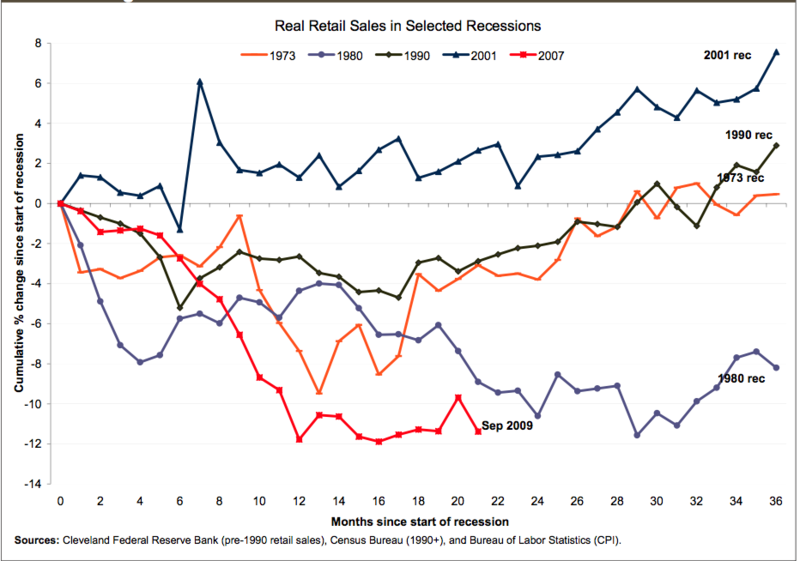 If they are not reversed quickly enough, interest rates will soar -- pushing the economy back into recession. 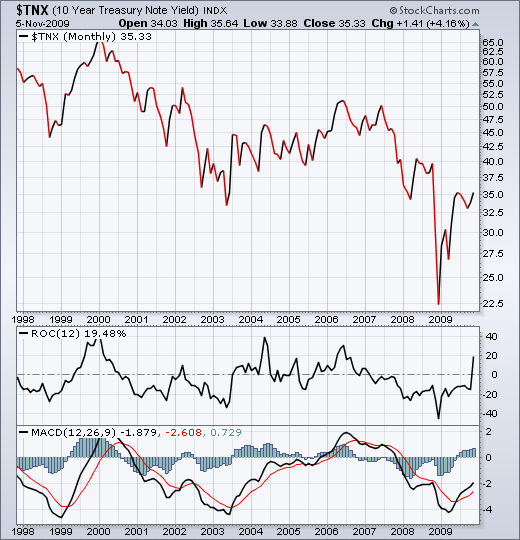 Low Interest Rates: Steroids for the Stock Rally? The "carry trade" that helps fuel this global rally is fed by super-low interest rates—and the cheap capital they create. Should investors worry? Nov. 16 featured two events now familiar to traders: Federal Reserve Chairman Ben Bernanke told financial markets to expect low interest rates "for an extended period." And once again the value of the U.S. dollar slipped vs. other major currencies. Both developments were welcomed by traders who are playing the dangerous but profitable "carry trade." In the dollar carry trade, investors borrow money in U.S. dollars, taking advantage of very low short-term interest rates. Armed with cheap money, they buy up higher-yielding assets. Everything from Hong Kong real estate and commodities to foreign and even U.S. stocks can be driven higher by the carry trade. Investment flows associated with it can also exacerbate the dollar's weakness. "This kind of carry trade generates remarkable pressure on the dollar," says Michele Gambera, chief economist at Ibbotson Associates, a subsidiary of Morningstar (MORN). On Nov. 16, the U.S. dollar index—a measure of its strength against a basket of world currencies—lost 0.37% of its value, extending an eight-month slump. A euro is now worth almost $1.50, up sharply from $1.25 in March. The weakening of the dollar may be good news for U.S. exporters, but it alarms the country's foreign trading partners. Treasury Secretary Timothy Geithner heard concerns about the dollar's strength from Asian finance ministers at last week's Asia-Pacific Economic Cooperation forum. The dollar is also certain to be on President Barack Obama's agenda during his first visit to China this week. The carry trade is hard to measure, with experts disagreeing about how much money flow is being driven by the strategy. New York University Professor Nouriel Roubini warned earlier this month that low rates are creating a "monster bubble," as cheap dollars push markets to unsustainable heights. After examining data on trading and fund flows, UBS (UBS) economist Larry Hatheway has concluded that the carry trade is not a major factor. "Price gains largely reflect improved fundamentals, including signs of global economic recovery, the strength of emerging economies, and a recovery of earnings," he wrote on Nov. 12. But Hatheway added: "Identifying—in real time—asset bubbles fueled by leverage is admittedly very difficult." Other market observers see signs that the carry trade is a key driver of the market's daily movements. "There is a significant carry trade going on," says Marc Chandler, global head of currency strategy at Brown Brothers Harriman. In some ways, the talk about the carry trade is a good sign for the world economy. The carry trade is a risky strategy and risk-taking is often seen as a "symptom of healthy capital markets," says Bill Larkin, fixed income manager at Cabot Money Management. Low interest rates are supposed to trigger economic activity and investment. Judging by rising stock and commodity markets, the strategy might be working. "Cheap money is seeking its way into the stock market," says Peter Cardillo, chief market economist at Avalon Partners. The worry is that the current practice is not sustainable. "Carry trades always have to be unwound," Chandler warns. By borrowing at low rates and investing at higher rates, carry traders can keep making money only as long as trends stay the same. When interest rates rise or currencies adjust, "it can burn a lot of people," he says. "The sudden end of the carry trade [can] be a big shock wave in the financial markets," Gambera says. "It is always potentially destabilizing," he adds. The carry trade itself is a sign of instability. Eventually, "we need to undo those extremes and go to a normal policy," Larkin says. But if rates rise too quickly, the economy could slip back into recession. Policymakers such as Bernanke face a tricky balancing act. He consistently says markets should expect "exceptionally low levels of the federal funds rate for an extended period," as he did on Nov. 16. But to avoid putting too much pressure on the dollar, Bernanke added, in the same speech, that the Fed "will help ensure that the dollar is strong and a source of global financial stability." Administration officials must make similar dual pledges, with Obama and Geithner trying to stimulate the economy and ease financial turmoil while also pledging to bring down the government's large long-term budget deficit. "We need a gradual shift and not a sudden one," Larkin says. With Bernanke reiterating his support for low interest rates, the carry trade could remain profitable for some time. But there are two big risks for those pursuing the strategy. The first is a major crisis or international emergency that could increase the dollar's value. A year ago, when Lehman Brothers collapsed, the value of the dollar spiked as investors sought refuge in the world's most liquid currency. Some warn that the dollar could be losing that special status, but for now there are few alternatives. Despite blows to the dollar, "there is no question that the dollar is the safe haven," says Georgetown University Finance Professor Reena Aggarwal. The second risk is that the U.S. economy could pull out of recession quickly, prompting Bernanke to revise his endorsement of low interest rates. Market participants are closely watching economic data for such signs. Low interest rates in Japan fueled a carry trade that lasted for years—until the play abruptly ended in the financial crisis of late 2008. No one knows for sure whether the dollar carry trade will last for months or years. Markets are notoriously unpredictable, particularly at times of economic change. Much depends on whether the rapid appreciation of stocks and other assets this year can be backed up by real economic fundamentals. If not, talk of yet another market bubble could be justified. Stocks are up, but so is unemployment. What's wrong with this economic picture and what's being done about it? This week NOW gets answers and insight from Harvard professor Elizabeth Warren, who's been heading up the congressional panel overseeing how the bailout money is being spent. NOW Senior Correspondent Maria Hinojosa talks with Warren about how we got to this point, and where we go from here. What will it take to put both bankers and American businesses on the same road to recovery? Warren vs Geithner: It's called ACCOUNTABILITY! Pimco Total Return Fund is the world's biggest mutual fund. What's in its portfolio? Pimco Total Return Fund's (PTTRX) nearly $193 billion in total assets rival the gross domestic product of a small country—of Chile, Singapore, or the Philippines, say. It is the largest mutual fund ever, dwarfing its closest competitor, American Funds' Growth Fund of America (AGTHX), which has $145 billion. Despite manager Bill Gross' high-profile media presence and sage counsel on macroeconomic trends, the inner workings of his biggest fund remain largely a mystery. He has made public statements about favoring plain-vanilla mortgage bonds and, more recently, Treasury bonds, but his portfolio is complex. At 368 pages, the bond fund's June 30 report of its holdings is so opaque that many investment advisers have trouble understanding it. Many don't even try. "I don't look too much at what's in there," says financial planner Ray LeVitre of Net Worth Advisory Group in Midvale, Utah, which has upwards of $5 million in the fund. "That's why we hire Bill Gross—to take care of what's in there." But what is in there? Gross was not available to talk about the fund. A Morningstar.com snapshot of Total Return's portfolio doesn't help much. What Pimco considers cash, Morningstar counts as bonds, so the portfolio is leveraged from the fund tracker's perspective. As of June 30, it listed 131.3% of the fund's assets as bonds. An additional 58% was cash on the long, or positive, side of its balance sheet. And 94.6% was in cash on the negative or short side—a short sale being an investment that profits when prices fall. About 8% was in "Other," which at Morningstar can include convertible bonds, preferred shares, or derivatives. Such a portfolio, as described, would be akin to a leveraged hedge fund's. Pimco Total Return is no hedge fund, but it does use some hedge fund techniques. "Leverage light is a hallmark Pimco tool," says Eric Jacobson, Morningstar's director of fixed income research. But "the people at Pimco call it 'bonds plus.'" It generally involves derivatives: The fund buys futures contracts or other derivatives to get exposure to bonds instead of buying bonds directly. It puts down a fraction of the full value of the futures contract, or what is called "notional value," as collateral. A contract providing $100 million in exposure to, say, mortgage bonds, might require only $5 million in margin collateral, creating a leveraged bet. To counteract that leverage, a manager could put the $95 million difference in Treasury bills. That would create what's called a "synthetic bond," since T-bills are considered risk-free and so neutralize the effects of leverage. But Gross often buys other bonds. More than 100 pages of the holdings report are devoted to "net cash equivalents," a vast array of debt ranging from mortgage bonds to emerging-market debt. The bonds are labeled cash because they have durations of less than one year. Duration is a wonky term that signifies how sensitive a bond's value is to moves in interest rates. If a bond fund's duration is 1.5 years, it means the fund will decrease about 1.5% in value if interest rates rise 1%, and it will increase 1.5% if rates fall by the same amount. For Pimco, anything with a duration of less than 1.0 and a high credit rating is a "cash equivalent." According to Jacobson, Morningstar uses a different and more restrictive definition of cash than Pimco. To be labeled cash in Morningstar's terms, bonds must have maturities (not just durations) of less than one year. Many of the bonds in Gross's cash-equivalent section have maturities several years out. Thus, to Morningstar, the fund is leveraged in bonds—that earlier 131% figure—though Pimco would call that extra 31% cash. Either way, Jacobson feels Gross has managed risks effectively. "Pimco does well investing in these bonds with a little longer maturities than cash to pick up a few extra [decimal] points in return," he says. And the 94.6% negative, or "short," cash position in the Morningstar report is cash Pimco theoretically owes on its derivative contracts as collateral if you calculate their full notional value. It is not really a short position. Although the Total Return Fund's leverage is mild and common among bond funds, there are risks. Manager Jeffrey Gundlach of the $11 billion TCW Total Return Fund (TGLMX) won't buy derivatives. "Many bond funds blew up last year that used derivative contracts, because instead of putting [collateral] money in T-bills, they invested in asset-backed securities they thought were the same as cash," he says. "Some of those securities fell more than 50%. Funds suffered massive losses because they were trying to goose returns by a few [decimal] points." Gross, however, bested 95% of his peers over the past decade. (The percentage rises to 98% for the low-cost institutional share class.) The fund's derivative positions seem to have a big influence on performance. As of Sept. 30, a third of the fund's "duration exposure" was achieved through derivatives. Says Jacobson: "For the average manager, Pimco's level of derivative use would make me very concerned. What separates Pimco and Bill Gross is a demonstrated long-term track record of being really good at this type of investing." Financial advisers tend to echo those sentiments. "I don't look at bond fund holdings but at how funds perform in different market conditions," says financial planner Jeff Feldman of Rochester Financial Services. "Derivatives are beyond my understanding, but if this fund were heavily leveraged, it would be more volatile than the average bond fund. But it isn't." Of course, a basic axiom of investing is "know what you own." So what does it mean that the largest mutual fund in American history is tough to figure out? The fact is, no one seems to care as long as the performance is good. Braham is a freelance writer in Brooklyn, N.Y.
China is running the risk of its own bubble by betting on renewed demand from US consumers that is unlikely to appear, the manager of the world's biggest bond fund said. China, now the world's third-largest economy, will expand 8.3pc this year, the Organisation for Economic Cooperation and Development forecast yesterday. Many experts believe that China's policy of exporting its way to growth by holding down the value of its currency was central to the global imbalances that were at the heart of the financial crisis. Rep. Alan Grayson announces there will be a hearing in late September on the bill to audit the Federal Reserve. If this bill passes, the audit will be the first time the central bank has been independently audited. Rep. Alan Grayson argues in support of the Paul-Grayson amendment, which would subject the Federal Reserve to a complete audit. The amendment later passed the House Financial Services Committee 43-26 as part of the underlying financial reform package. Barack Obama gave his sternest warning yet about the need to contain rising U.S. deficits, saying on Wednesday that if government debt were to pile up too much, it could lead to a double-dip recession. With the U.S. unemployment rate at 10.2 percent, Obama told Fox News his administration faces a delicate balance of trying to boost the economy and spur job creation while putting the economy on a path toward long-term deficit reduction. His administration was considering ways to accelerate economic growth, with tax measures among the options to give companies incentives to hire, Obama said in the interview with Fox conducted in Beijing during his nine-day trip to Asia. WASHINGTON - Foreign demand for long-term U.S. financial assets rose in September as China and other countries boosted their holdings of Treasury securities. Continued strong foreign demand for U.S. debt is critical to financing America's soaring budget deficits and keeping U.S. interest rates low enough to support a recovery from the recession. The Treasury Department says foreigners bought $40.7 billion more in assets than they sold in September, biggest jump since June. The September gain compared with a revised $34.2 billion increase in holdings in August. China, largest foreign holder of U.S. Treasury securities, boosted its holdings by $1.8 billion to $798.9 billion in September. U.S. gripes about China's currency policy are now matched by Chinese complaints that the Federal Reserve's low interest rates are inflating new asset bubbles. But as President Obama meets Tuesday with Chinese President Hu Jintao, both nations' crisis-fighting policies are having effects far from their own shores. Low U.S. interest rates and the weak dollar invite investors to use borrowed dollars to buy assets in higher-yielding developing countries. And China's decision to link its currency to the dollar costs other developing countries exports. "Low interest rates for the U.S. certainly do create problems for the rest of the world. ... There's a very strong temptation for money to flow out of the U.S. and into other countries," says economist Eswar Prasad, a former International Monetary Fund official. In China, foreign currency borrowing has risen eight consecutive months and now totals $360 billion – 40% more than a year ago, says Marc Chandler of Brown Bros. Harriman. The so-called carry trade is driving some stock and property markets to new, potentially unsafe heights. The Shanghai exchange is up 79% this year. And housing prices in China's 70 largest cities rose 3.9% last month, their fastest rate of increase in a year, according to JPMorgan. Any eventual bubble in China, however, may owe more to domestic policies than U.S. interest rates. To spur its economy during the global downturn, the Chinese government directed its state-owned banks to issue a flood of new loans. More than $1.3 trillion in new lending resulted through October, more than one-quarter of China's annual economic output. The impact isn't limited to Asia. In dollar terms, Brazil's benchmark stock index is up more than 139% this year. Worried Brazilian officials last month slapped a 2% tax on foreign purchases of stocks and bonds, trying to stem capital inflows that are driving up the value of the real. Such capital controls may spread to other countries, reversing a trend toward easing cross-border flows, says Antoine van Agtmael, chairman of Emerging Markets Management. Since China pegs its currency to the dollar, the falling greenback has dragged the yuan with it. The weaker currency acts as an effective price cut for Chinese products shipped abroad, enabling China's exporters to benefit at the expense of producers in countries with floating currencies. Since March, the Brazilian real is up more than 38% against China's yuan, while South Korea's won has risen 37%. Gold was one of the few asset classes to post positive returns in 2008, as investors sought hard assets in a flight to safety. The price of the yellow metal rose 3% in 2008, while the S&P lost 37% of its value, the MSCI All World Ex-US was down 43%, and the broad GSCI commodity index fell 47%. Gold even outperformed most hedge funds, who quite embarrassingly failed to live up to their name as the Barclay Hedge Fund Index showed the average fund earning their 2/20 by returning -22% to their customers. Even as the economic crisis has abated and other assets - most notably emerging market equities - have recovered, interest in gold and other precious metals has remained strong. Safety buying has continued, but gold's 11% and silver's 38% YTD returns are best explained by the rising fears of inflation. As central banks around the world increase the money supply rapidly to fend off deflation, they run the risk of causing inflation in the future. Historically gold and silver have been effective inflation hedges because of their dual roles as both commodities and currencies. The prices of all commodities rise during periods of high inflation simply because the currencies they are priced in are worth less in real terms. But gold and silver also function as currencies (XAU and XAG) which benefit directly from investors' desire to diversify away from a declining fiat currency like the USD. Although there are other good ways to protect against inflation, gold and silver have the most potential upside largely because of their unique roles as the only non-paper currencies at a time when nearly every paper currency is at risk of losing real value. Investments in gold and silver are risky themselves, however. Although both have intrinsic value, they trade at their values as currencies, which is highly dependent on investor sentiment. No one has to own gold in the same way that people must own Euros or Yen. After gaining strongly in the 1970's the price of gold collapsed in the 1980's and remained moribund until early this decade. Prices tend to soar during crisis, and collapse once the crisis is over. Investors must know when to sell, but a lot of money can be made between then and now. It must be said first that some have seen additional risk in precious metal ETFs because they don't offer investors the real, "hard" asset. Like all ETFs, precious metal funds issue shares whose value is determined by their holdings, and the investor legally owns those shares - not the holdings themselves. For many goldbugs, this intermediary is a source of unacceptable risk as it exposes them to potential accounting fraud by the issuer, a shutdown of the stock exchange, government confiscation of their shares, or some other black swan event. These are risks any investor takes, however, when he purchases any investment product that's not stored in his basement. And their disclosure requirements make Exchange Traded Funds the most open, transparent and liquid paper asset available. Precious metal ETFs are widely owned by institutional investors and large individual investors, including John Paulson - the one hedge fund manager who saw this crisis coming. And their management expenses are negligible compared to the costs of storing and protecting your own stash of gold. 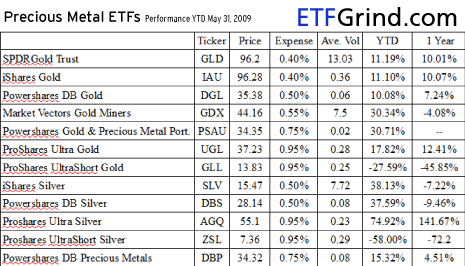 So as always ETFs are the cheapest, safest way to own precious metals. This guide will brief you on all 12 gold and silver ETFs traded in the United States, 10 which follow their metal's price and two which follow the equities of gold miners. Normally platinum and palladium are also considered precious metals, but no US listed ETF currently tracks their price, although one that tracks platnium has been registered. The GLD's 34 billion dollar market cap makes this ETF one of the largest on Earth. The fund invests in gold bullion bars which are stored with HSBC in London. Its shares are neatly divided into increments meant to track 1/10th the spot price of gold, minus fees. The GLD's mega trading volume gives investors liquidity, and its .4% expense ratio is a great deal cheaper than holding your gold in a vault (which is currently running at about 2%). The IAU is the primary alternative to the GLD. It carries an identical expense ratio and boasts very good liquidity. The only major difference seems to be with the custodial bank. The GLD's gold is held by HSBC in London. The IAU's gold is held in vaults around the world by the Bank of Nova Scotia. Both accounts are governed by American law, but HSBC's parent is British and BNS ' is Canadian, which may or more likely may not have regulatory implications. In the event of a force majeure invocation (London is destroyed? ), the IAU's more diverse holdings might be more secure. The DGL is a thinly traded fund that has an expense ratio of .5% compared to the .4% of the two funds above. Unlike the GLD and IAU it doesn't actually invest in any bullion, but tracks the price through derivatives contracts. Its high fees and transaction costs mean it will always underperform its competitors. Why it still trades is anyone's guess, but it appears to have something to do with index provider Deutsche Bank wanting to have a full range of products in the US. Often times the best way to play a commodity is to invest in the companies that produce it. The GDX tracks an index of 27 gold mining companies from around the world. It has outperformed GLD handsomely this year. Aside from the potential outperformance, the GDX has another advantage over the bullion funds. Due to a quirk in US tax law, gains from ETFs that invest in gold bullion are taxed as collectibles [sic] while the GDX is taxed as normal capital gains. At the moment that means the difference between 15e% for the GDX and up to 28% for the GLD, although the capital gains rate will be reset to 20% in 2010, closing that gap a bit. Although at first glance the PSAU may seem a tempting alternative to the GDX, it's pretty much the same product. Both indexes are global, and most gold miners also have silver operations so the GDX will benefit from silver's rise as well. With nearly identical performances, the PSAU's expense ratio and terrible volume make the GDX the better choice. The UGL is a typical 2x leveraged ETF that aims to return 200% of the daily change in the price of gold. Like all leveraged products there is significant risk in holding the UGL over the long term because daily changes can add up to odd annual returns, and its .95% expense ratio is a deal breaker. The GLL is currently the only short gold fund available in the US. It shares the same leverage risks as its UGL counterpart, but could be worth a look in a few years' time if gold starts to fall. Silver has been the best performing commodity this year, up almost 40% ytd. iShares' silver offering is a large, liquid fund that invests in silver bullion stored in London with JP Morgan Chase as its custodian bank. Its share price is designed to replicate the spot price of one ounce of silver, minus fees. DBS is microscopic compared to the SLV. It is a derivatives only fund that carries an identical .5% expense ratio. Stick with the SLV unless you can think of a reason why futures contracts should outperform their underlying commodities. The AGQ seeks to track twice the daily change in the price of silver. The same risks apply for holding over the long term as any leveraged ETF, although it may be tempting to hold for a few weeks to follow a strong silver rally. The ZSL may be an interesting play when silver starts to head down. It already has high volume, as traders try to take advantage of silver's day-to-day volatility. The DBP invests in bullion at a 80% gold 20% silver ratio. Its holdings are value weighted so its silver percentage may increase over time if that metal continues to outperform. It isn't a bad idea to have diversification in one fund, but DBP's high fees (.75%) make it a better proposition to simply buy the GLD and SLV separately. One of the unanswered questions surrounding the Bernie Madoff Ponzi scheme was how did Madoff fool so many people for so long? Well, in addition to a lot of charm, charisma and leveraging his good reputation in the industry, Madoff also had help from a couple of programmers who allegedly falsified records to fool SEC inspectors. In fact, it’s playing out just like a Hollywood movie script. The face of the operation (Madoff) supposedly had help from a couple behind the scenes programmers who helped make the entire fraud possible. Slaving away in a back room somewhere on the 17th floor of the Lipstick building (the home of the Madoff firm at 53rd Street and 3rd Avenue), the duo created a false paper trail that helped fool regulators and calm investors. I wonder if they had pocket protectors, short sleeve dress shirts and wore big glasses? They probably didn’t, but I’m sure the movie director will have them wearing the stereotypical computer nerd attire when the blockbuster Hollywood film is made. Without the falsified trade confirmations, client account statements and other documentation, the SEC would have shut down the scheme years ago. Well, maybe they would have shut it down. There were plenty of other warnings about the Madoff fraud, and the SEC missed all of them, so I don’t want to give the commission too much credit. Anyway, according to this Wall Street Journal article, “Jerome O'Hara and George Perez, who began working as computer programmers at Bernard L. Madoff Investment Securities LLC in the early 1990s, were charged with conspiracy, falsifying books and records of a broker-dealer and falsifying the books and records of an investment advisory.” Read the WSJ article for all of the details (WSJ.com subscription required). Aaron Regent, president of the Canadian gold giant, said that global output has been falling by roughly 1m ounces a year since the start of the decade. Total mine supply has dropped by 10pc as ore quality erodes, implying that the roaring bull market of the last eight years may have further to run. In an attempt to keep a low profile, The Goldman Sachs Group Inc. has told its employees that it won't be hosting a corporate Christmas party this year. The investment bank is also prohibiting employees from funding their own parties, an insider at the firm told InvestmentNews. The Christmas party ban comes as Goldman has been under sharp public criticism for paying bigger bonuses this year while national unemployment hovers at 10.2% and many workers have taken pay cuts. In the third quarter, the company announced a profit of $3.19 billion and said it has set aside nearly half of its revenue to reward its employees. Last year, Goldman paid out $4.8 billion in bonuses, awarding 953 employees at least $1 million each and 78 employees at least $4 million. The rewards this year are expected to be greater. Melissa Daly, a spokeswoman, confirmed that Goldman will not host a Christmas party this year and that it didn't hold one in 2008. She could not comment on whether the company is banning employees from holding their own parties. Given the shaky economic climate, it makes sense that Goldman is putting the kibosh on holiday festivities, said Steven Hall, managing director of Steven Hall & Partners LLC, an executive compensation shop. “It’s clear (at least to me) that Obama is following the path Roosevelt took during the Great Depression. In 1933, the government devalued the dollar by 41% by raising the official price of gold from $20.67 to $35 an ounce. Devaluation makes debt easier to handle. In devaluation, the dollar value of debt remains the same, but all other assets would be worth more (in nominal terms) whether it was a house, a stock, a car or an ounce of gold. Normally, a secondary correction will recoup one-third to two-thirds of the ground lost during the preceding bear leg. To refresh your memory, the preceding bear leg carried from 14164.58 on October 9, 2007 to 6547.05 on March 9, 2009 — a total loss of 7617 points. A one-third correction would carry the Dow to 9083. A two-thirds recoup of the bear market losses could take the Dow back to 11619. The International Monetary Fund (IMF) highlighted the fact that low interest rates in the U.S., plus an apparent "one-way" bet against the dollar has created a global dollar carry-trade that is driving capital flows into emerging markets. If not handled properly, this will lead to emerging market asset bubbles, which arguably have already begun to inflate. We've highlighted before how places like Hong Kong are seeing property prices go through the roof due to low U.S. interest rates. The fact that the IMF is increasingly vocal on the subject suggests that this process is really starting to become quite substantial phenomenon in many countries. IMF: There are indications that the U.S. dollar is now serving as the funding currency for carry trades. These trades may be contributing to upward pressure on the euro and some emerging economy currencies. Emerging economy authorities have been responding to capital inflows by accumulating reserves, and, in some cases, with capital controls and other measures, to slow the pace of appreciation. Capital flows driven by yield differentials are complicating monetary policy responses in those economies where there may be a need to tighten—particularly in Asia. Some emerging economies may need to absorb capital inflows and at the same time avoid compromising domestic financial and price stability. With interest rates in advanced economies set to remain low for an extended period, and emerging economies poised to recover at a faster pace, the recent flow of capital into these economies may continue. Eight months ago, there was no "fundamental-based" reason to believe the ongoing slaughter of stocks and financials would stop. The U.S. equity market stood at its lowest level in 12 years, while the banking system seemed near a total collapse. In the words of the stories in the left-hand column above -- the bear was "tightening" its grip, the clearest path for stocks was "down," and there was no light at the end of the tunnel. But as the quotes in the right-hand column show, the opposite actually occurred: A 50%-plus rally in stocks and all-out rebound in investor optimism. This alternative is exactly what our analysts foresaw. "If one is aggressively bearish the stock market, having a planned out exit strategy now is not only prudent, but necessary in light of some of the sentiment readings we see." Namely, a 3% reading in the Daily Sentiment Index, the lowest level in the 22-year history of weekly figures. "Ideally, the S&P should continue down into the 600's. When it's finds a bottom and rallies, it will be sharp and scary for anyone who is short. I would rather be early than later." "The turn will come on or near March 10, 2009. Anywhere in this period may mark a turn, which will obviously be a market low." The S&P bottomed two weeks later at 666.79 on March 9. The rally "could carry the Dow as high as 10,000. Regardless of its extent, it should regenerate substantial feelings of optimism... the government will be taking credit for successfully bailing out the economy, and investors will be convinced that the bear market is behind us. Be prepared for this environment." Flash ahead to today: The November 6, 2009 Short Term Update picks up where the April Theorist left off and presents the following close-up of the S&P SPDR Trust versus the 10-day Daily Sentiment Index. The yield of ten-year US Treasury Notes has surged by 34 basis points since the middle of October as market participants started adopting a more upbeat outlook on the economy and shied away from safe-haven assets. Several members noted the graph discussing net fixed income supply in 2009 and 2010, and how issuance will ramp up dramatically in 2010. Federal Reserve purchases have taken an enormous amount of supply out of the market this past year across fixed income markets, but next year, financial markets should expect even greater issuance with no support. Such an outcome could pressure rates. With quantitative easing set to expire during Q1, it is difficult not to see long-term rates rising, unless the economy falls back into the morass. Turning to technical analysis, the chart below (click to enlarge) shows monthly data for the ten-year Treasury Note yield since 1998 and conveys an important message when considering the two momentum-type oscillators at the bottom (ROC and MACD). The ROC has just reversed course (crossing the zero line) for the first time since a buy signal was given at the beginning of 2007 and now indicates a primary sell signal. The MACD provided a similar indication six months ago.